Carlos Ferreira & @Mzelle.Ferreira invite you to the launch of the 9th episode of Portugal Gourmand! Chef Joao Dias created a five courde menu inspired by the ingredients of the web series. 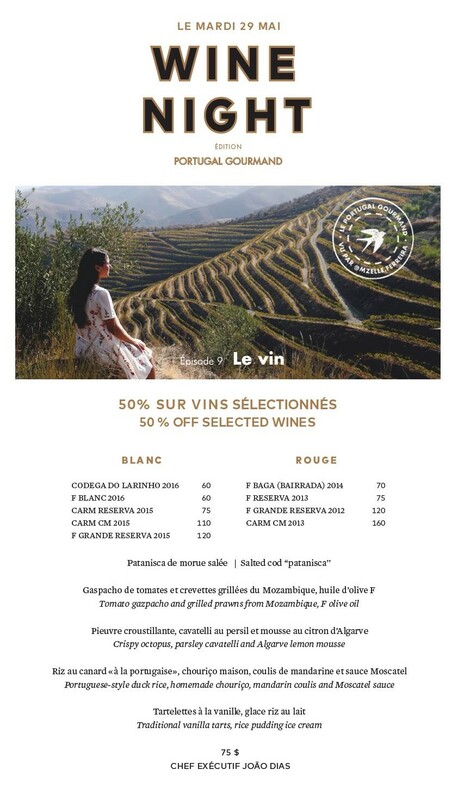 Get 50% on Carlos Ferreira’s wines as well as CARM wines while pairing the menu.